Checked in after hours. Room number was posted and directions clear and easy to understand. 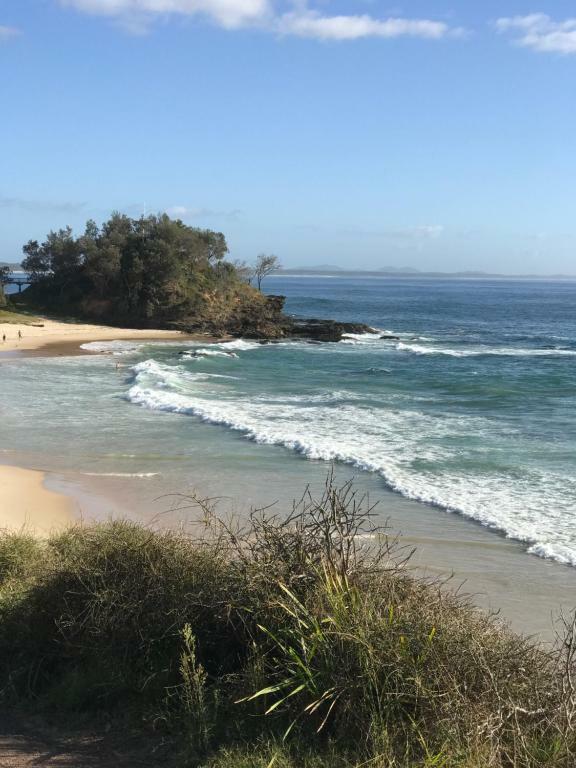 Port Macquarie is a terrific, friendly beach town. 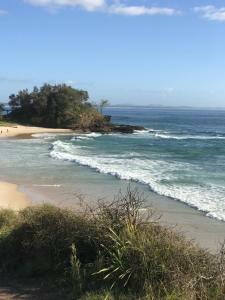 Oxley Cove is close to downtown and a variety of beautiful beaches. Weather is great in April and the people are very friendly. The management lives onsite and are more than accommodating. Prices can’t be beat. Pool was great as the weather caused the beaches to be closed. Air conditioning. The room is big,clean,nice and very easy to access. 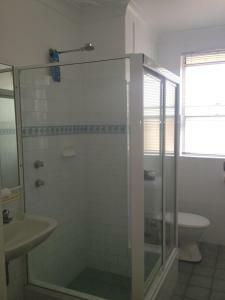 It is a good sized apartment with 3 bedrooms and a balcony for the price of a motel room. It is perfect for a family with children. One night stopover from gold coast to Sydney. Good rest in this little town with some great sights to see at the breakwall which was close to the property and the lighthouse which was very worth it. Booked a family room which was very spacious. Came with living room kitchen and a tv. Very happy with all. Excellent and flexible service on inquiring about anything at all. Very helpful. Surprisingly quiet and relaxing location. Good comfy beds and 'hot' water. Didn't use aircon, nice change to have a pleasant breeze through apartment. Very comfortable and also plenty of extra street parking straight out front of apartment. Felt safe to leave vehicle there overnight. Lock in a great price for Oxley Cove Holiday Apartment – rated 8.3 by recent guests! 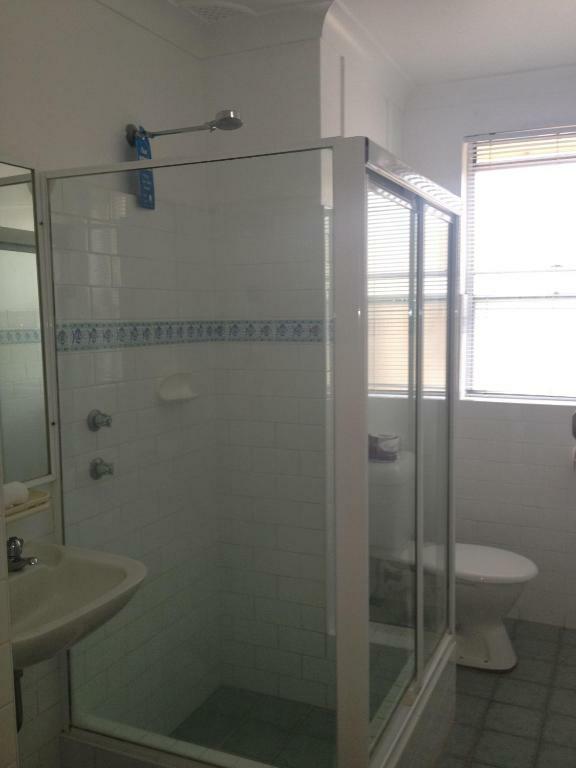 Oxley Cove Holiday Apartment This rating is a reflection of how the property compares to the industry standard when it comes to price, facilities and services available. It's based on a self-evaluation by the property. Use this rating to help choose your stay! 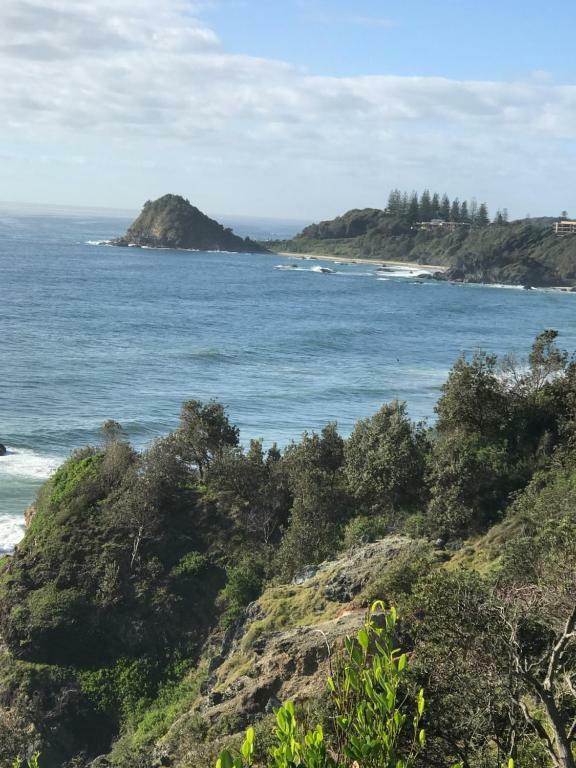 One of our top picks in Port Macquarie.Oxley Cove Apartments is located just 1,000 feet from Town Beach. All rooms feature air conditioning and cable TV. Most have a balcony or patio. 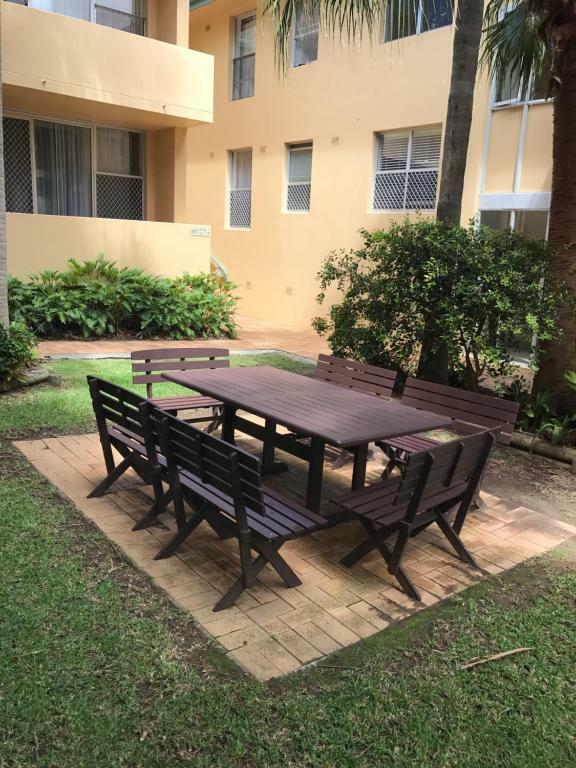 The fully self-contained 1, 2 and 3-bedroom accommodations at Oxley Cove Apartments includes heating, ceiling fans, hairdryer and ironing facilities. Free WiFi is also available. Facilities include a large heated swimming pool, guest laundry and undercover barbecue area. Free car parking is provided. Oxley Cove Holiday Apartments are 0.6 mi from Port Macquarie town center. Tennis courts, cafés and restaurants are within 5 minutes’ walk. This is our guests' favorite part of Port Macquarie, according to independent reviews. This property is also rated for the best value in Port Macquarie! Guests are getting more for their money when compared to other properties in this city. 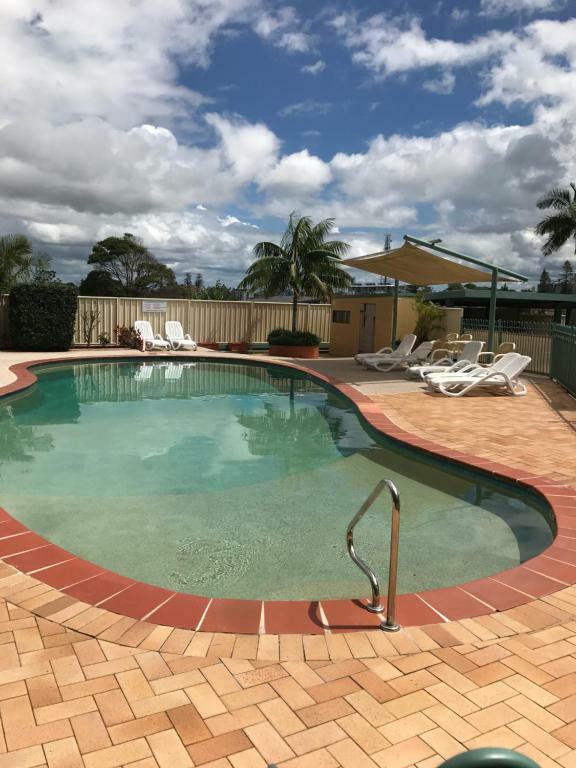 뀐 Located in the top-rated area in Port Macquarie, this property has an excellent location score of 8.5! When would you like to stay at Oxley Cove Holiday Apartment? This apartment features air conditioning, a flat-screen TV with cable channels, a separate bedroom, open-plan living area and a full kitchen. It also has a balcony or patio. This spacious apartment features air conditioning, a flat-screen TV with cable channels, two separate bedrooms, open-plan living area and a full kitchen. It also has a balcony or patio. This large apartment features air conditioning, a flat-screen TV with cable channels, three separate bedrooms, open-plan living area and a full kitchen. It also has a balcony or patio. Experience the atmosphere of tropical comfort surrounding you in every spacious , elegantly furnished apartment at Oxley Cove. Surrounded by our lush gardens, you can just put your feet up , relax and read a favourite book, talk with friends around our huge solar heated pool, or enjoy prawns or steak with a beverage in our undercover BBQ area. Our moto is "Good Times, Great Value." 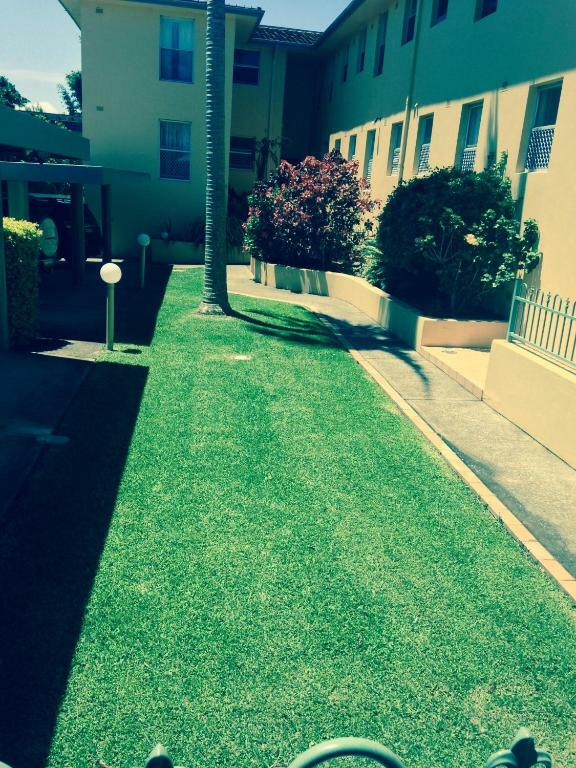 House Rules Oxley Cove Holiday Apartment takes special requests – add in the next step! Oxley Cove Holiday Apartment accepts these cards and reserves the right to temporarily hold an amount prior to arrival. Please inform Oxley Cove Holiday Apartment of your expected arrival time in advance. You can use the Special Requests box when booking, or contact the property directly using the contact details in your confirmation. Unfortunately, you do not know who will be staying when you book. There were a few ferals staying the same time as us and they were noisy all hours of the night. The strong smell of fresh paint but others will benefit from that for years to come. It was only a shot overnight stop off but everything as expected. Had to have a key to get into stairwells. We could not get to the doors to knock when we had no key. Kids loved the swimming pool. Roomy apartments. Street access to our apartments. Pillows slightly uncomfortable, could have done with one more pan but not essential. Receptionist very nice. Rooms spacious and very clean. Comfy mattress. Nice spacious balcony. Cooking utensils and cutlery great. 1. Musty smell in the apartment as soon as entering 2. Frying pan was full of grease on the outer part. Therefore we decided to wash any dishes first before using them. 3. One of the room’s door would not close fully as it would get stuck in the switch board. How wierd. I wonder who the architect for this apartment was. 4. Water from the taps and shower had a strong clorine smell. We decided to buy drinking water from outside. Maybe they need to have their water source tested. 5. Kitchen closet doors were starting to get displaced. 6. Did not fell comfortable drinking wine in plastic glasses. And there weren’t any whiskey glasses. There were 4 of us & only 2 bath towels. Dragging luggage up stairs from the rear carpark. Should be told to park on road & move luggage from there. Location, good carparking for cars outside the apartments.